When people are dating, it feels as though love will smoothen out any difficulties; time usually tells a different story and money is often at the root cause of friction. One of the things that will determine your success as a couple is the way you handle your finances. Here are ten tips to help your money relationship along. You would do well to consider having the money conversation fairly early and certainly once your relationship appears to be leading to a joint future. Discussing money might not be romantic but try to broach the subject before committing. Money can be a very emotive topic; that’s why people tend to prefer to avoid it. Ignoring it, leads to both parties making assumptions about roles and responsibilities. Addressing money issues when there is no immediate pressure to make decisions should make things easier; the earlier the better. Our attitudes to money have a lot to do with our backgrounds, our parent’s money behaviour, childhood experiences etc. It is quite common for couples to have different attitudes towards money. If one is a big spender whilst the other is a frugal saver, for example this can cause conflict, if each party is not considerate of their partners wants and needs. One might be prepared to stake even the family home for the prospect of “that” deal, whilst the other prefers to build slowly and steadily over decades. You do not need to have identical views on money to be able to build a successful future together, but if you have some understanding of how your partner views money, you can adjust, adapt, accommodate or resolve the money issues. Financial compatibility encompasses attitudes to setting goals, budgeting, borrowing, spending habits, saving and investing. Action speaks louder than words; there will be some traits that you can deduce just from your partner’s lifestyle. When someone is a really big spender, and lives way above their means, without the income or investments to back it up, you ought to be concerned. Does he or she spend without any thought for the future or about the consequences of their spending decisions? Is your partner in debt? Debt in itself is not the problem; it is about what they have borrowed for and if they owe and dodge friends, family and everyone else. Debt in marriage affects your partner, this is why couples should find ways to manage their debt together and work towards being debt free. What financial commitments do you have to parents and / or siblings? Do you have insurance to protect your assets, health and life? What sort of education would you like for your children? Will you both work or live on one person’s income? Will one partner hold a corporate job whilst the other is in business? Will you both be in business? Will one person pay all the bills or will you share in proportion to your income? Too many questions? Of course plans will change, but it does help to have discussed things so that when the time comes you are better prepared. Planning ahead brings you closer to achieving your goals, and even better, it brings you closer as a couple. When a couple comes together as a team to consider joint short, medium and long term goals, apart from their individual goals, there is a powerful avenue for bonding as they share hopes and dreams, write them down, and work together to achieve them. Don’t try to tackle too many at once; just focus on say the two or three that are most important at this stage of your lives; this makes it easier to achieve them. If you are just starting out together, this may include saving towards your wedding unless your parents are willing and able to foot the bill, renting your first home, or buying a car. If you are already married with a young family, goals tend to be saving for your children’s education, buying property etc. Successful financial management was never meant to smack of drudgery and tedium. Be intentional about building fun into your plans, such as a weekly or monthly date night or periodic vacations. Avoid allowing existing debt or other financial problems getting in the way of quality time; it doesn’t have to be anything extravagant; a cozy meal, a picnic at the beach, or a movie night out are always lovely experiences. Joint accounts, separate accounts or a combination? When it comes to combining finances, there is no one size fits all; some couples merge their finances, whilst others prefer to keep their finances separate. You don’t have to combine finances immediately. Take some time to learn about each other’s spending habits. With a joint account, if both of you are working there should be some agreement about how each will contribute to the kitty and how money will be managed. It is rare to have a sole breadwinner these days with the lofty goals you have for your family’s future. Even the best system is not always appropriate for every circumstance, so plan to modify your system as your relationship and financial situation evolves and find an arrangement that works best for both of you. Home ownership and educating children tend to be the largest and most prolonged expenses you will have. Remember that the most expensive or most “fashionable” school that “everyone else’s” child goes to, is not necessarily the best one for your child; an important part comes from your own interaction with them at home. Don’t go broke over your children’s education and jeopardize your financial security. Identify a school that you can afford, and that gives a sound basic education with committed teachers and standards. Leading insurance companies offer excellent Educational Savings Plans that are worth considering. Newly weds and young families have some important to dos. There is a need to review and update a variety of documents. This may include emergency contacts, next of kin forms, health insurance, wills, retirement plan beneficiaries, life insurance, investment accounts etc. Communication, openness and transparency are important ingredients for successful relationships. Money secrets can derail a couple’s goals and indeed threaten the marriage itself. In reality, however, it is not always possible in every marriage to achieve the transparency and cooperation that you desire, but ideally this is what couples should strive for. Your financial life will be a life-long journey. If it is approached with a spirit of sharing and support, you have a better chance at a fulfilled life in partnership. Considering money matters together provides a great opportunity not only for strengthening the relationship but also for fulfilling and celebrating mutual goals with a sense of direction and purpose. Join us at our upcoming seminar “Romance and Finance: Relationships and Money on Saturday 23rd February 2019, at The Wheatbaker, Lawrence Road, Ikoyi, Lagos. Lets talk about Love and Money. Spaces are limited. Register HERE. 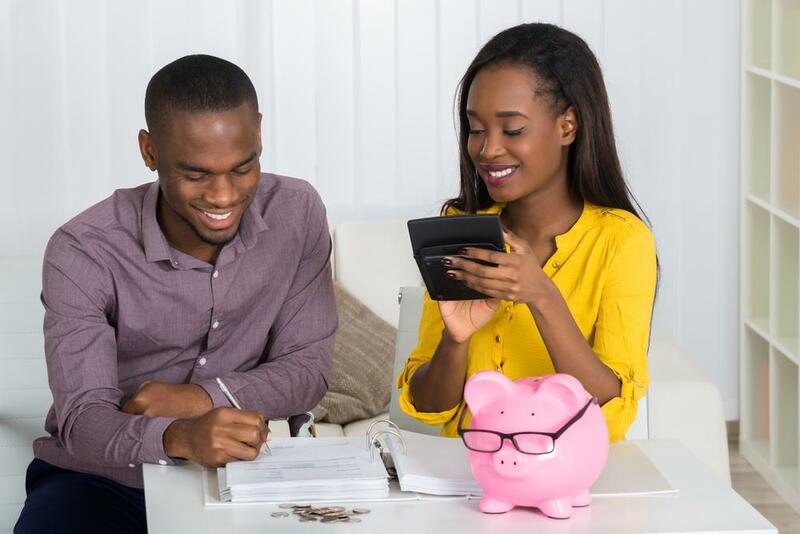 The post Money Matters with Nimi: 10 Money Tips for Couples This Valentine’s Seasons appeared first on BellaNaija – Nigeria breaking & top news to the World 24/7. Read Today.